There are many ways to get involved in the farm, and we do hope you will! Become a CSA vegetable basket partner: CSA partners are a special and foundational part of the farm. We get to know them through weekly deliveries and newsletters during 6-months of the year, as well as inviting them to all of our on-farm activities. At our annual partners’ meeting, we explore ways to deepen our relationship and allow the farmers to better meet partners’ needs. Come work with us for a season: Each year we hire two employees / interns through a program with emploi-Quebec. Usually these employees come and live at the farm and immerse themselves in our self-sufficient way of life. For all the details consult our employment announcement. 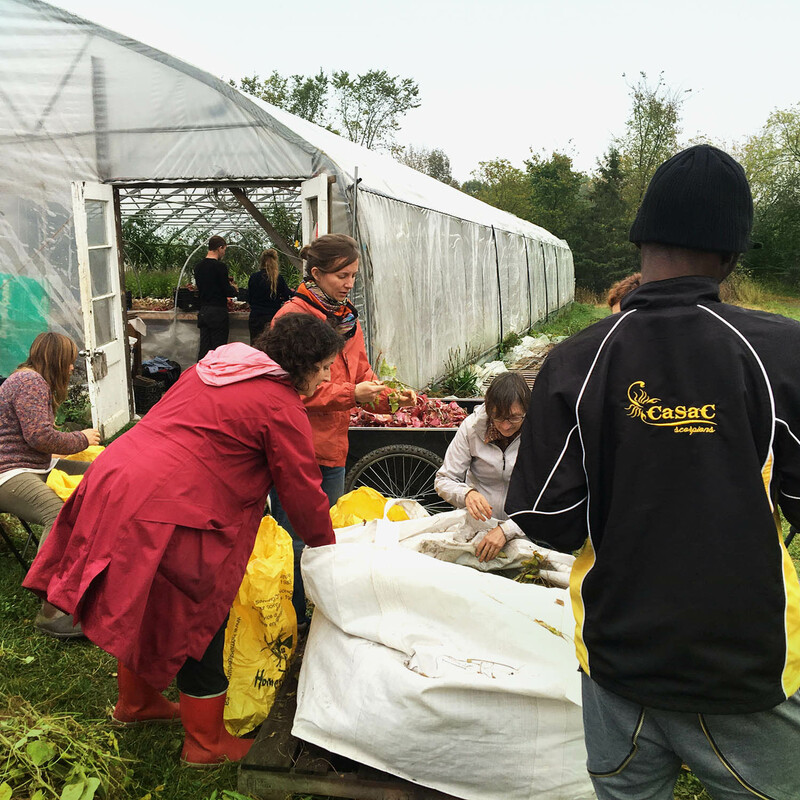 Come work with us for a day, a week, a month: Your volunteer work allows us to keep production costs down, making our products more financially accessible, as well as provides a great way for both farmer and volunteer to learn from each other. Wwoof with us for a few weeks, or more! Depending on the season, we can offer room and board in exchange for a certain number of hours worked per week. Get in touch with us to work out the details. Join the cooperative! We’re actively looking for new workers to join the team. We require that all new coop members come and spend a season with us before consideration into the coop, so please come out and be part of the team!